It is important to understand that key performance indicators (KPIs) and service level agreements (SLAs) are not the same, even though there is some overlap. In this post I would like to explain the difference between KPIs and SLAs and look at the practical business applications of each. Quite simply, KPIs are the way you measure how well individuals, business units, projects and companies are performing against their strategic goals. It’s the tool that helps leaders of an organisation know how close or far the team is to achieving an objective and by monitoring progress toward KPIs, it allows the team to course correct if they are off pace to achieve the strategic goals. As a navigational tool, a KPI can highlight areas of the business that might be veering off track to hit a defined objective. Similar to how a doctor needs to get information about vital stats of a patient prior to recommending treatment, a leadership team can use KPIs as critical pieces of information to make business decisions. explore the 10 biggest mistakes companies make with KPIs. 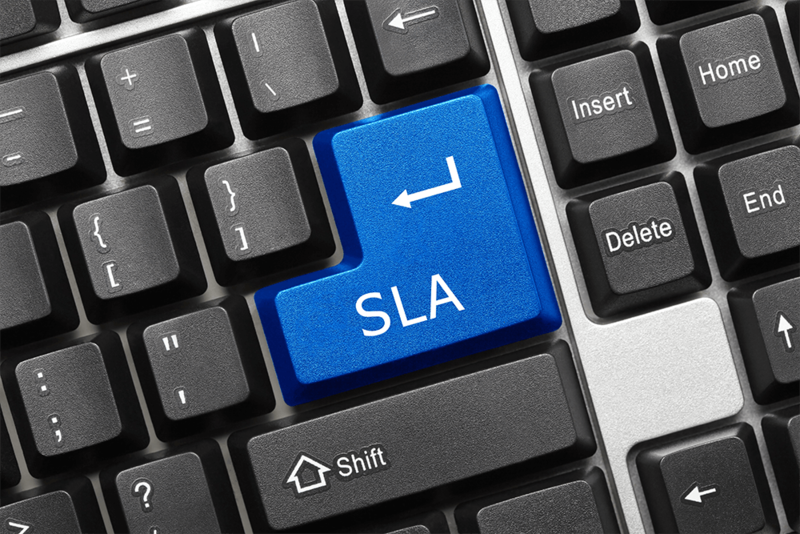 A SLA is also a tool to gauge performance, but it is different than a KPI. It’s an agreement that’s between an internal or external service provider and the entity that is the end-user of that service. A SLA should clearly outline in simple language what the client will receive and what should be expected of the service provider. Service-based: The terms of service customers can expect are similar for all customers on a service-based service level agreement. In this case, everyone working with a service provider receives similar terms. The SLA between you and your mobile service provider would fall into this category. Customer-based: A more customised service level agreement is customer based. This SLA outlines a relationship between a vendor and a customer in detail and is likely not a one-size-fits-all agreement. Multi-level: This category of SLA agreement splits into different levels to address a different set of customers who are using the same service. When a SLA is in place, the service provider and the customer would regularly assess, communicate and adjust actions to adhere to the agreement. While a SLA might become a part of a legal contract, a contract isn’t necessarily a SLA because contracts can be finalised without outlining any services levels. While the exact components will vary based on organisation and industry, SLAs have relevant use in almost any business relationship. and under what situations the SLA might be waived. It’s important that SLAs include meaningful measurements so both the service provider and the customer can clearly assess performance, this is where some overlap occurs between SLAs and KPIs. The fact that SLAs must define the measurements of the service delivery means that many SLAs define KPIs as such measures of service performance. While SLAs define the overall agreement and service standards between service providers and their customers, the KPIs will be used to measure and monitor the performance levels. For a service provider, it often also means that the metrics defined in their SLAs become important KPIs they will monitor and report as indicators of their overall strategic business performance. SLAs are different to KPIs. SLAs are documents that outline the wider service agreements between a service provider and its customers, while KPIs are generally used to measure the performance of companies against their strategic goals. However, KPIs can form part of a SLA to measure the delivery of the defined service standards.